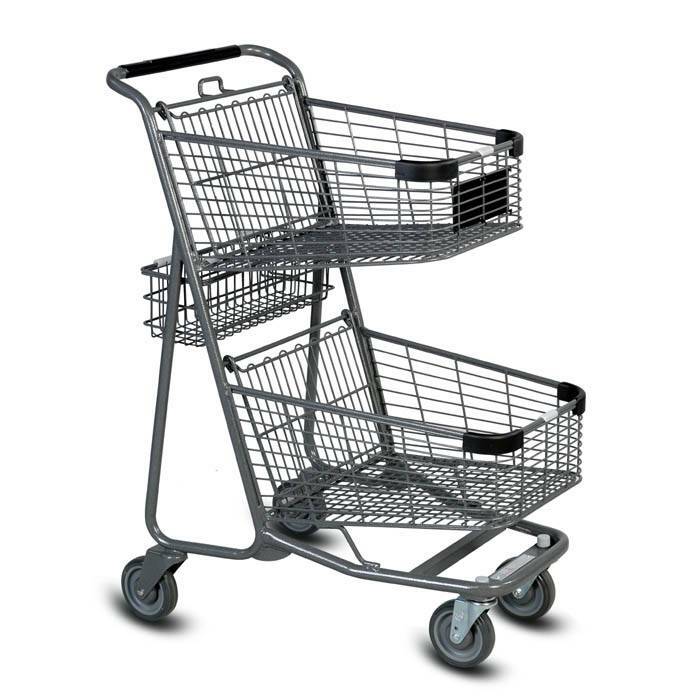 This is the reconditioned version of our Economy Modern Double Basket Shopping Cart. 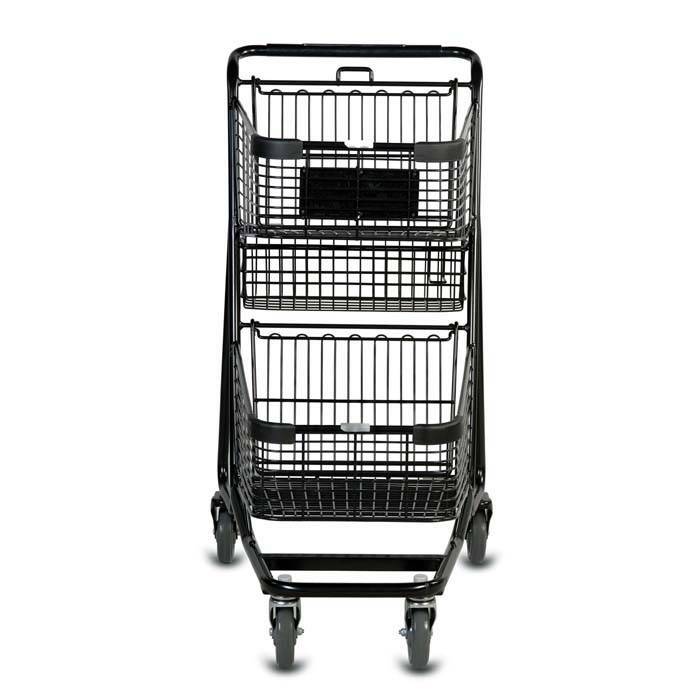 This refurbished shopping cart has a short wheelbase which allows for easy maneuvering in congested aisles. The 5" non-marking wheels are quiet and durable. 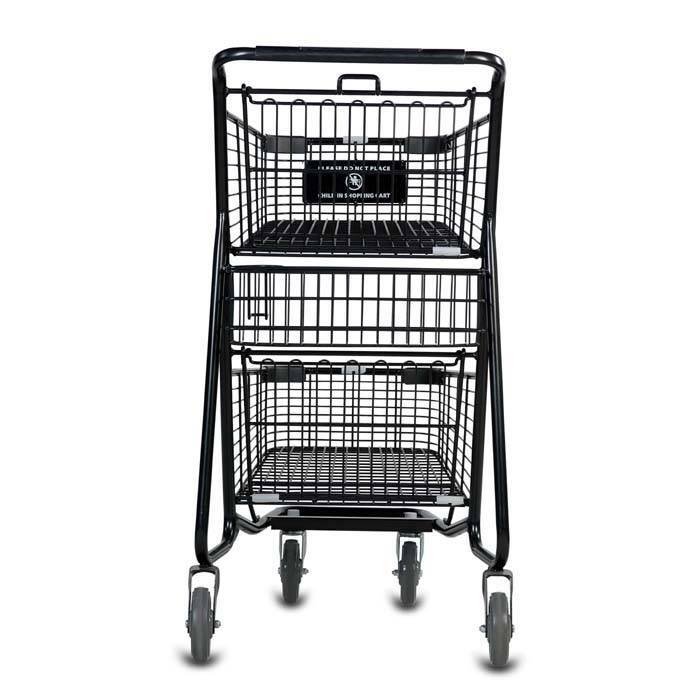 This shopping cart has a rear basket with a built in cup holder. It is extremely durable and built to last. 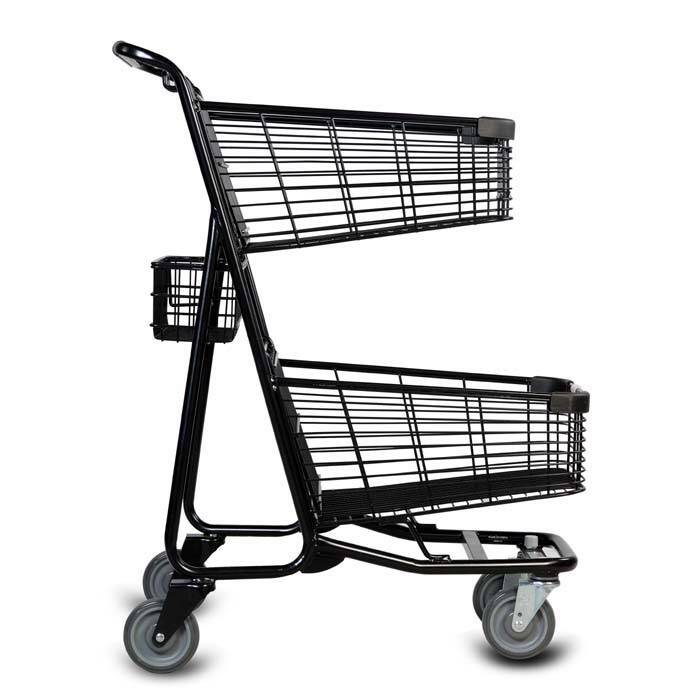 This is a reconditioned cart Level 1 which means it has ALL NEW wheels. 20" front to back tapers down to 17.5"